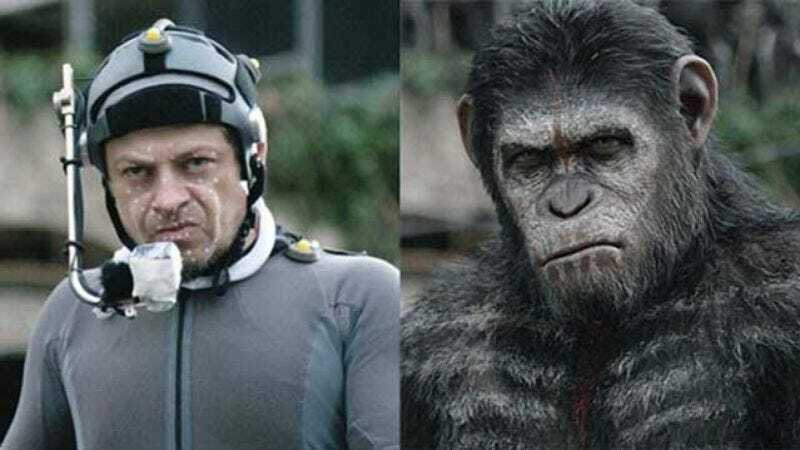 Actor Andy Serkis is famous for bringing to life some amazing creatures throughout his career, from Gollum in ‘The Lord Of The Rings’ to Caesar in this summer’s ‘Dawn Of The Planet Of The Apes.’ Let’s take a look at some of the roles that have earned him the reputation of being a modern-day man of a thousand faces! Serkis’ first motion capture role was as Bill Pullman in this 1993 romantic comedy. Pullman’s movements and expressions are so natural and lifelike, it’s almost hard to believe he’s the creation of the actor and a team of motion capture artists. Serkis worked tirelessly to develop a rich gestural vocabulary in order to bring the creature of Margaret Thatcher to life in 2011’s The Iron Lady. While creating the Justin Bieber character for Never Say Never, Serkis reportedly spent a year and a half studying the movements and expressions of young pop stars for inspiration. comicbookmovie.com / YouTube via 80er Jahre Filmfreak!! From 1998 to 2004, Serkis wowed television audiences by creating the terrifying but lovable central character on this CBS sitcom. Serkis wowed audiences as Lohan’s other half in 1998’s The Parent Trap, providing a motion capture performance that so closely mirrored Lohan, it’s nearly impossible to tell them apart. One of the shapeshifting actor’s greatest motion capture roles, Serkis’ portrayal of Man In Crowd in X-Men: Days Of Future Past is almost easy to miss because of how realistic it is. Returning to the role that earned him a reputation as Hollywood’s master of motion capture in Sleepless In Seattle, Serkis put an older spin on his most recent portrayal of Bill Pullman, aging his now classic creation nearly 15 years.